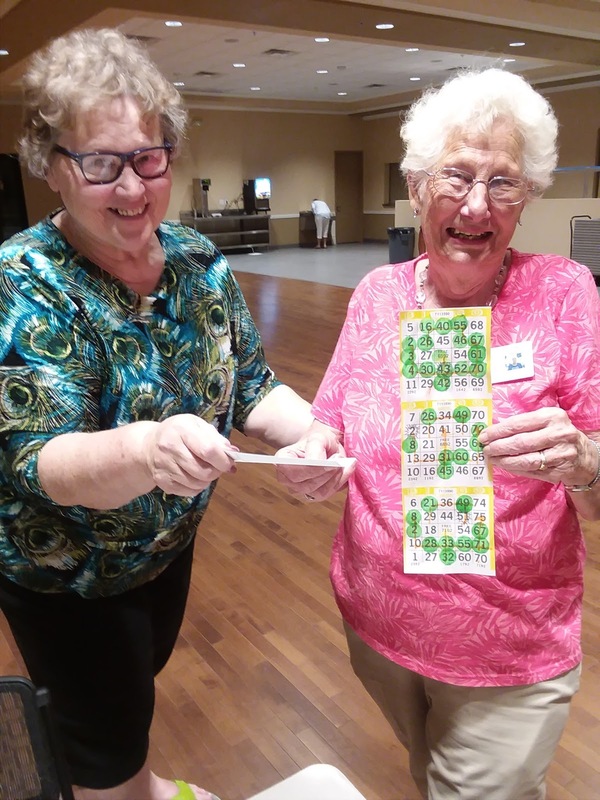 Palm Creek Update: Best Bingo Winner EVER!! 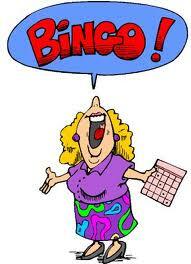 Tension mounted in the bingo hall last night as we all tried to win the big $567 coverall jackpot. The room soon burst into a loud cheer of applause as we discovered who yelled "BINGO". We couldn't be happier to congratulate Flo Fillipi for being the winner...............and she did hit the real jackpot by getting bingo on the starburst! Flo doesn't get to play bingo very often because she has been in charge and has run the program since it's inception many moons ago. 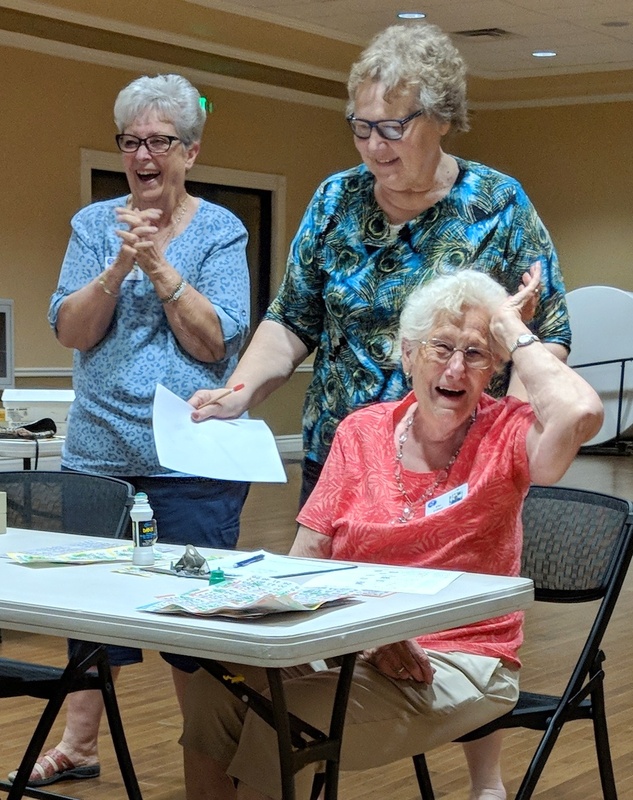 We truly have Flo to thank for maintaining bingo through all those years.